A new product for 2009. 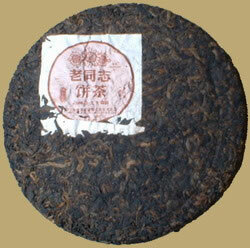 This ripe Pu-erh cake consists of high grade material that has a high concentration of golden buds. Mr. Zou Bingliang is in charge of the complete tea processing methods to guarantee a premium quality. The tea has a smooth and balanced flavor, gives an aromatic taste. An excellent everyday tea or putting away for aging.